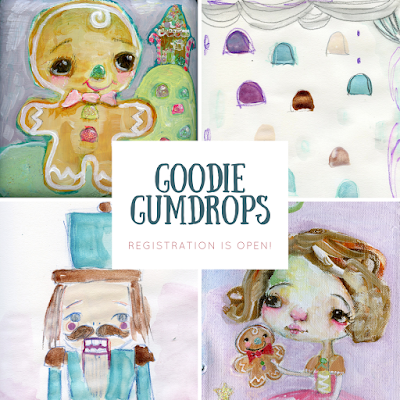 Mindy Lacefield: Goodie Gumdrops open for Registration! Lately I have been obsessed with painting gingerbread boys and gum drops. I love the sugar coating and the idea that Christmas is coming soon. Why don't we get prepared this year and enjoy the process of journaling throughout the time leading up to the Big Day! Let's cherish our creative time and slow down a bit. I believe that staying creative through the busy holiday season is important. 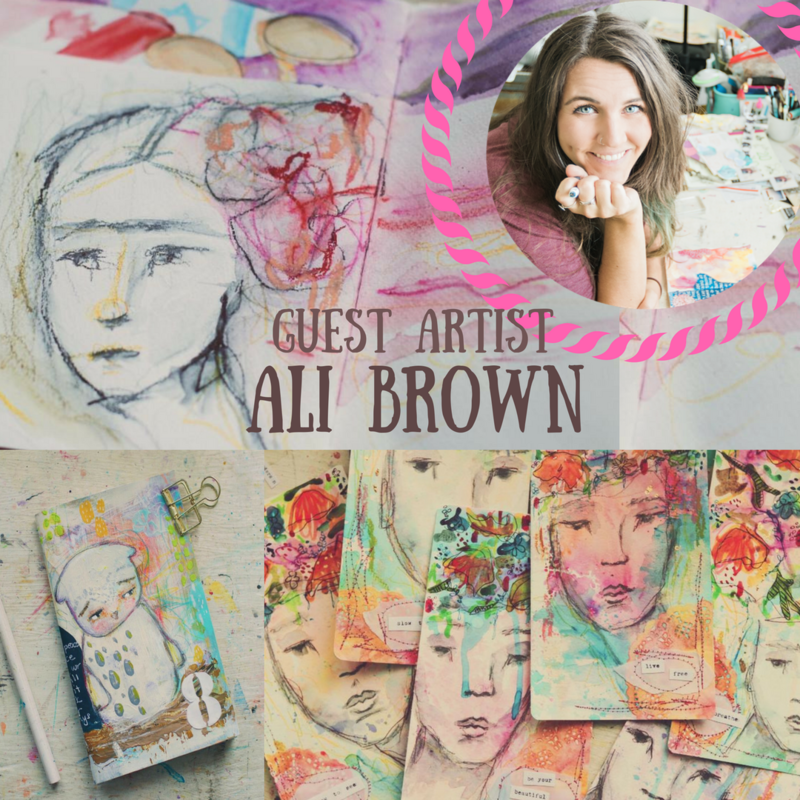 If we don't give ourselves a few minutes of creative time, the stress of all the hubbub can soon start to deplete us. 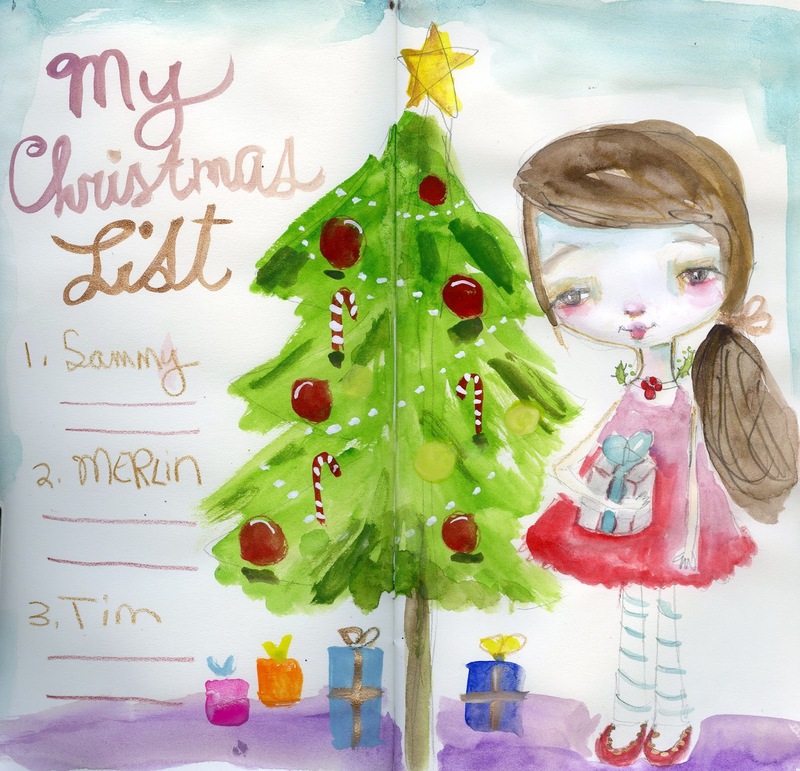 Let's keep that creative muscle fine tuned and play and paint and enjoy this Christmas season! 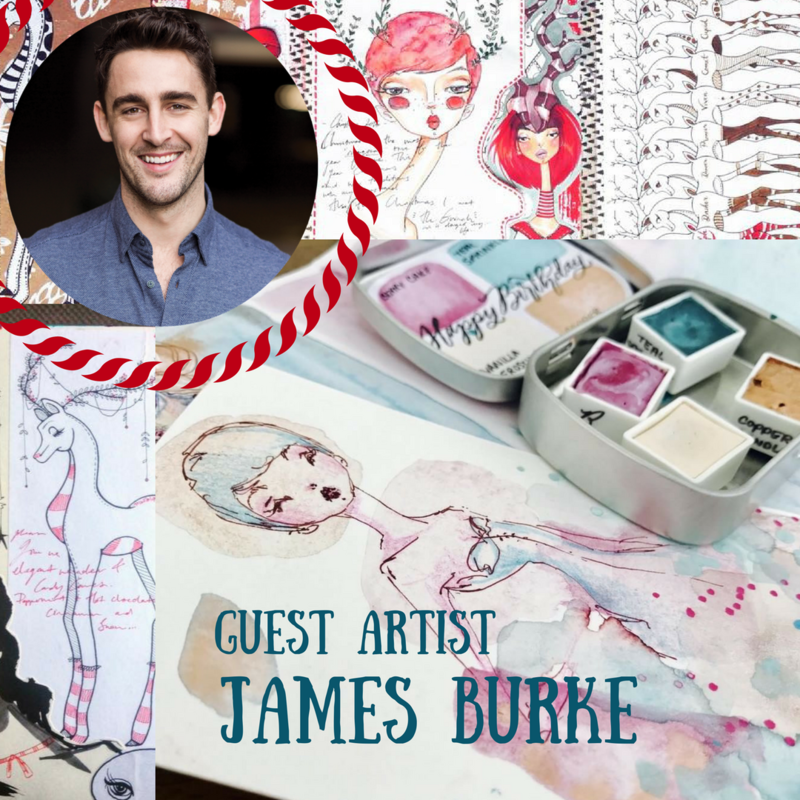 2 guest artists James L. Burke and Ali Brown !! 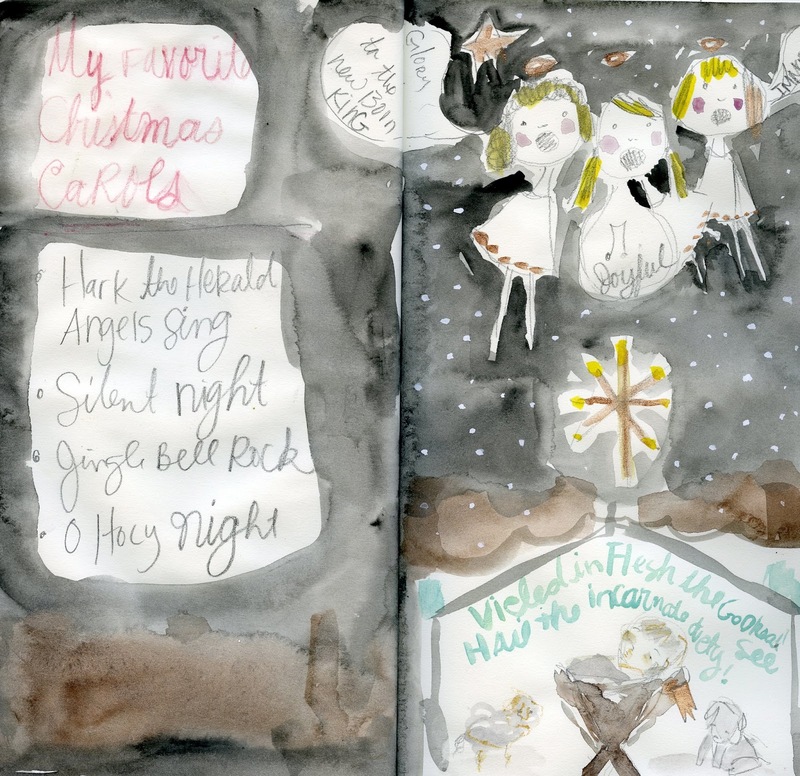 and then lessons will post Mon and Wed with shorter journal pages to keep you inspired throughout the holidays. Cover lesson, 6 lessons from me, 1 lesson from James, 1 lesson from Ali ----->> 9 lessons total! 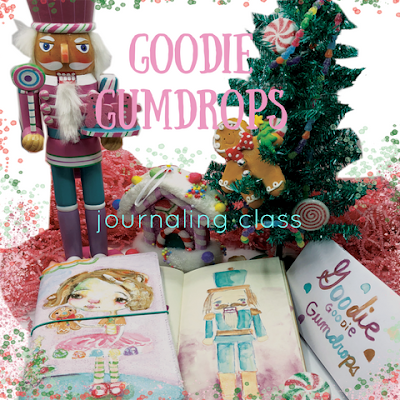 pattern work, nutcracker, christmas list, favorite christmas carol.....think holiday sweets gingerbread, cookies, cakes, and of course gum drops. James Burke and Ali Brown will be creating a special lesson for us. I am so EXCITED that they are on board! use what you have on hand. these are the supplies you'll see me use, but not everything is a must. The journal, a few paints, and some watercolors is all that is needed. don't feel like you have to get everything on the list. fibers - think candy, christmas, gingerbread themed colors (this is for your tag topper) how cute will these be spilling of the top of your journal?! Tim Holtz paint flips: barn door, rusty hinge, marmalade, squeezed lemonade, mowed lawn, tumbled glass, broken china, dusty concord, milled lavender, picket fence, ground espresso - these are the colors I used for this project but feel free to use any colors you like. 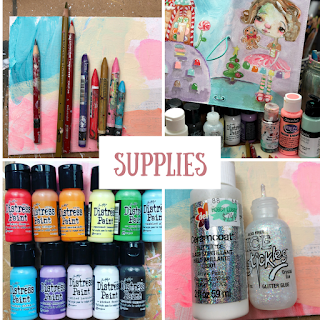 I love these paints for the cover of the canvas journal because these move effortlessly while painting the cover. Do I need all the supplies on the supply list? No, I am all about using what you have on hand. Any watercolor palette will be fine. I love the Prima palettes and we will be using the Happy Birthday palette from Designs by Rachel Beth but you don't have to have those exact ones. Will there be a Facebook group? It depends on how many folks sign up. If I get over 50 people to sign up, then I'll definitely host a FB group with the help of my two Admins, Amy and Nolwenn. Can I share this content and my link to my friends and family? Please don't. We ask that 1 signin for your household only. thank you! now onward to Gumdrops land! !